Since the creation of CarrierSales in 2001, our unparalleled integrity, level of experience, and commitment to customer service have made us an industry leader. Our experienced agents will work with your company to help you find the telecommunications solutions – whether business and long-distant telephone lines, high-speed internet, or cloud services – that best fit your needs. The founding members of CarrierSales have been independent agents since 1992. We have gathered top professionals from throughout the industry with experience across large and small carriers. 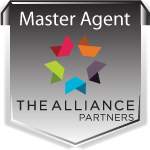 Our average agent has 10+ years of telecom experience, which has gone a long way to help us rapidly become one of the largest and most respected agencies in the country.